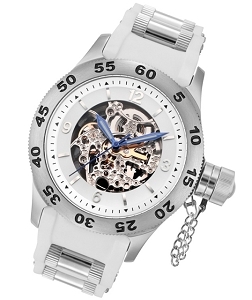 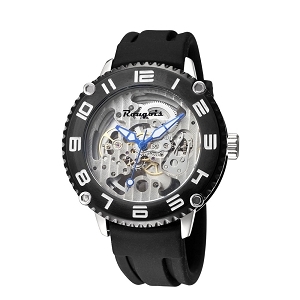 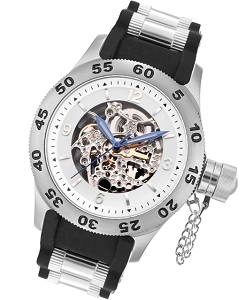 This is a rugged looking skeleton automatic (self-winding) watch with a black bezel sporting easy to read white hour numbers. 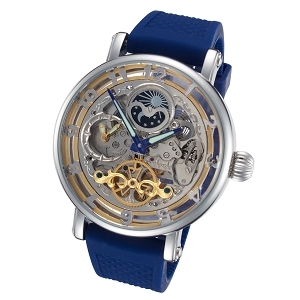 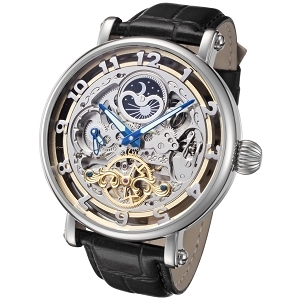 The goldtone automatic movement is viewable from both the front and back via mineral crystals. 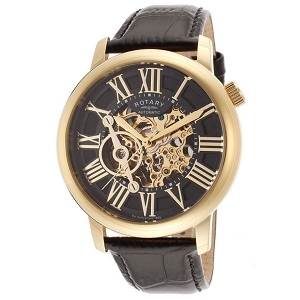 Black luminous filled hands stand out on the decorated goldtone movement for telling time day or night. 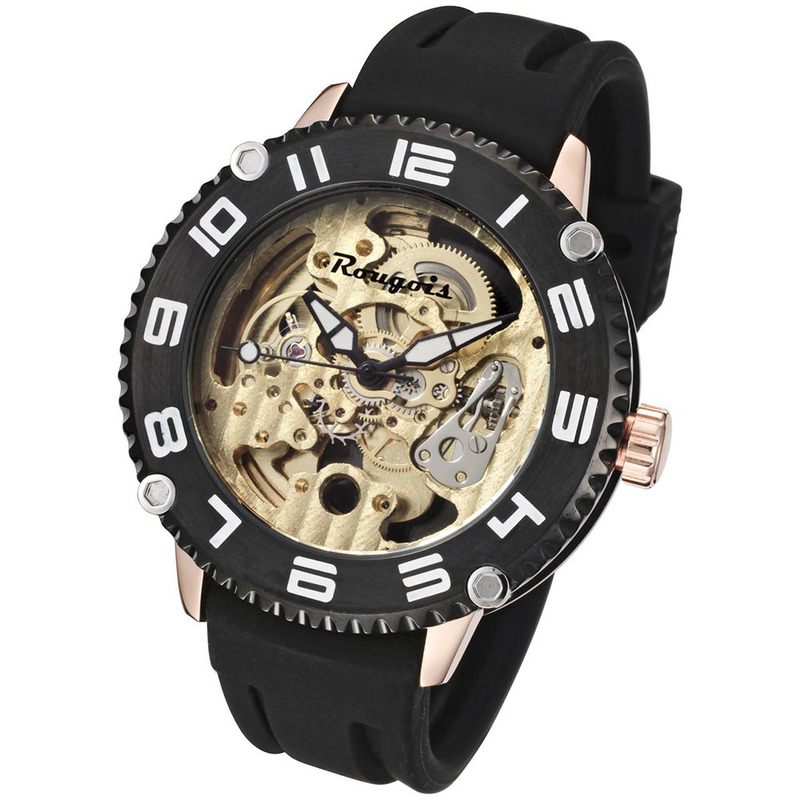 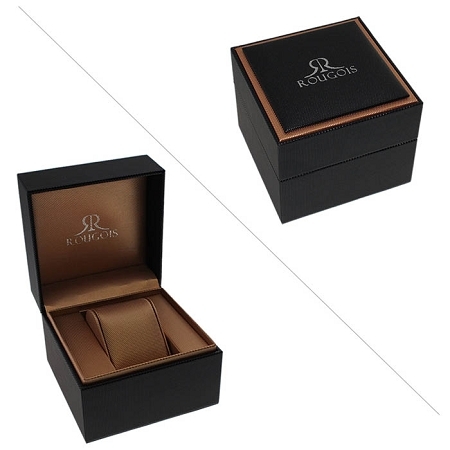 Includes a push-pull crown at 3:00, a 40mm goldtone stainless steel case, and a black silicone rubber strap with a buckle closure.